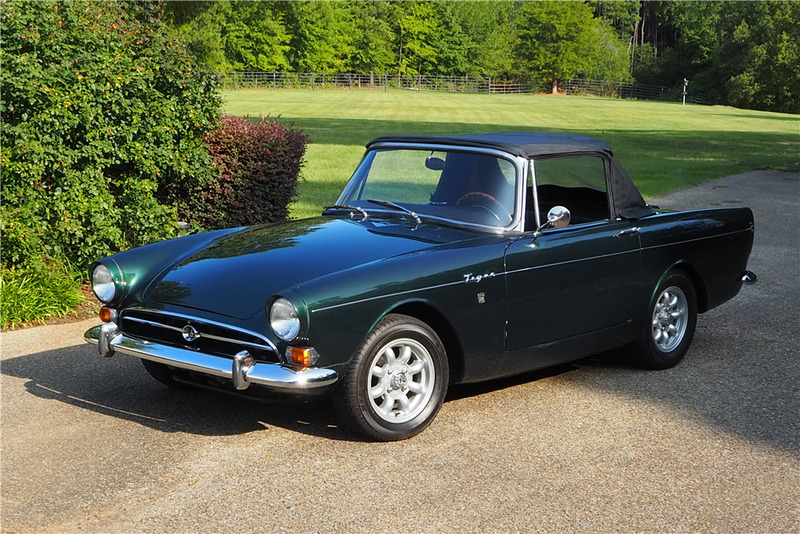 This 1966 Sunbeam Tiger Mark 1A is presented in green with a black interior. 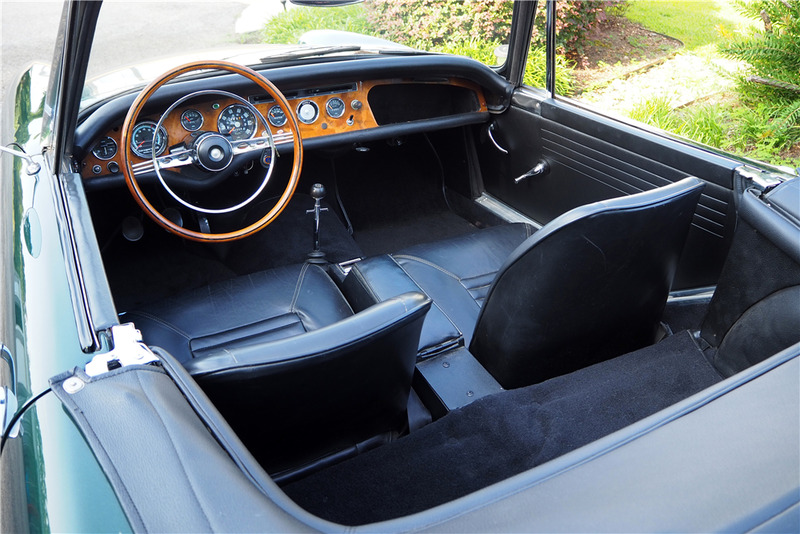 Its original 260 engine was replaced with a 289ci engine with a 4-barrel carburetor backed by a 4-speed manual transmission. This Tiger comes equipped with traction bars, aluminum wheels, aluminum radiator with an electric fan, headers with custom exhaust and an oil cooler. Its VIN is listed on page 304 of “The Book of Norman, Vol. I” by Norman Miller.